Why speed? Well, to quote Active.com “The bottom line is: you have to run fast to run fast.” Simple as that! Speedwork adds that extra secret sauce into a training program. It helps you prepare to run at your goal race pace, helps you work on your form by putting the body in a more efficient position to run fast, and also is incredibly helpful with the mental game of running. Fit Radio offers HIIT workouts each and every week for both Outdoor Run & Treadmill. These workouts are designed with short, fast intervals, that will certainly push you outside your comfort zone, but also give you that pep in your step! Newbies & Speed : Get comfortable running 1-2mi without stopping before incorporating speedwork into your routine, and always give yourself the option to walk between intervals until you’re stronger. With Fit Radio, our “Tempo Pace” is what we describe as “Fit Pace” – comfortably uncomfortable, I like to say. Pushing you slightly outside your comfort zone, but not by much. That being said, a TRUE Tempo Run is one that is sustained for longer periods of time over the course of your run or workout. The Tempo Run feature on Fit Radio is perfect for keeping you on pace by matching your stride to the beat of the music for the entire duration of your run! You would want to select 10:00/mi or 150bpm for your tempo run pace, then plan your workout to do 2-4mi at this pace, working your way up over several weeks. As long as you match your feet to the beat, you’re on pace! The dreaded long run: the arch nemesis of the newbie, the escape of the veteran, the crippler of the ego! The long run is just that : a long run, the longest run of your week. Every program will incorporate a longer run into the equation once a week. Depending on what your training for and where you’re at in your training cycle, this could be a 6mi run, this could be a 22mi run. This run is a sustained effort, ideally pretty steady in pace, and more about simply getting the miles in the legs than it is about speeding through it. There is, however, a time and a place for a little speed within though, depending on your experience. Don’t let the long run scare you! Now this is a weird one for people…so we’ve got 3 days of your week covered : Speedwork, Tempo Day, and Long Run – what do you do the leftover days? Hmmm – run easy or cross train! Your body needs to RECOVER. These days are just as, if not more important than the work. If you don’t allow your body to recover, you will never be able to see it’s full potential and are likely to feel terrible on the daily. Some like to do “junk miles” by running slow and easy, others like to incorporate cross training or, in other words, anything BUT running – elliptical, bike, swimming, etc. Switching it up is important for the body to avoid injury and non-impact activities like those just listed are a great way to maintain fitness, without the pounding on the joints you get from running! We’re always ready and waiting with killer tunes for your session. & on days you’re feeling frisky? Throw on a Fit Radio workout for the elliptical or bike and have at it! 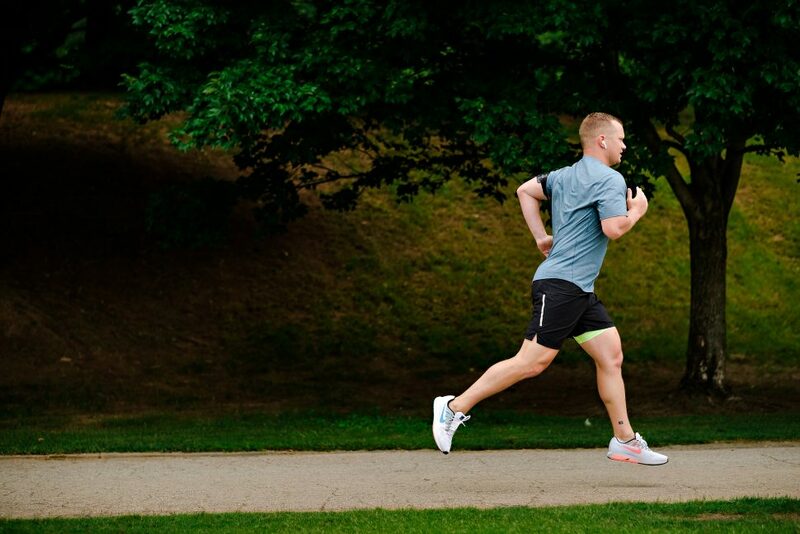 This is a great way to get a third hard session in without sacrificing your running legs. Bianca is a runner-turned-cyclist who ran track collegiately at The University of New Mexico and Portland State. She’s done everything from run a 4:44 mile to walking a marathon and has coached hundreds of people throughout her career. You can find her coaching every section in Fit Radio and @runthisb on IG.